rutlandherald.com | Covering Vermont since 1794. Police are investigating a string of at least six burglaries discovered on Monday in Pittsfield, West Rutland and Killington. BRANDON — Otter Valley had not played a game since it snowed on the Otters' opening day with Mill River over two weeks ago. The man who has been the Rutland Town fire chief for the past five and a half years has retired from the post. On Monday, Rep. Peter Welch. 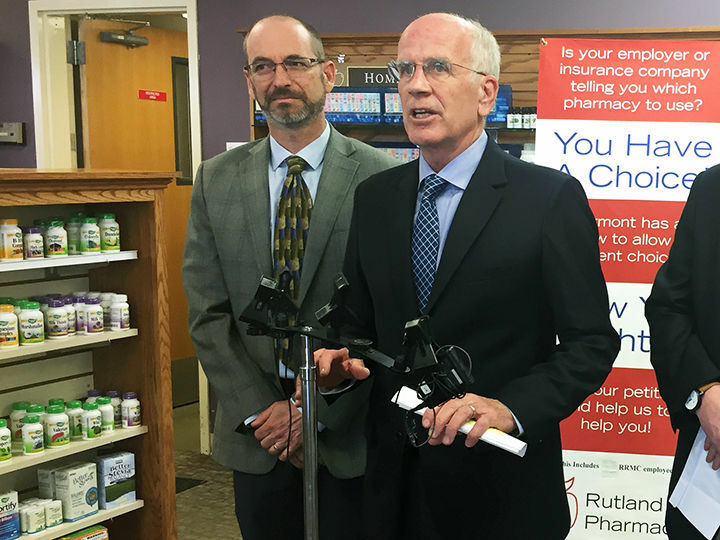 D-Vt., plans to introduce legislation next week that aims to create a “level playing field” between independent pharmacies and bigger, national organizations. CHESTER — Throwing strikes was most likely the difference Monday afternoon at McKenzie Field in Chester, where West Rutland held on for a 6-5 Marble Valley League win. CHESTER — The Green Mountain baseball team moved its record to 2-0 Monday with a 7-2 victory over neighboring rival Springfield. "Wow! $31 million for a school budget. Why so much? When I was younger, it didn't cost so much." WASTED! The Story of Food Waste! Get breaking news alerts directly in your inbox. Get emails about upcoming contests like the College Basketball brackets, the Pet Photo contest, the Pro Football Pick 'Em and Best of the Best, with thousands of dollars in prizes and gift certificates in the mix for participants. About two or three emails a month. Get a preview of upcoming events in the Rutland region delivered directly to your email inbox, along with calendar items and featured events, once a week on Thursdays. Vermont Arts covers theater, opera and classical music as well as festivals, pop, modern Vermont bands, folk music and visual arts the length and breadth of our state.